But a cruel run with injuries limited him to 13 games in six seasons and his AFL career ended after being de-listed by his second club, West Coast, in 2011. Since then, Oakley-Nicholls, from Mirrabooka, has worked at the Wirrpanda Foundation, an Aboriginal support and mentor not-for-profit group. For the past year, Oakley-Nicholls has relished being based at the group’s Kwinana office as manager of its employment program. ‘At West Coast I was involved with the Wirrpanda Foundation, but I have really loved doing this full-time,’ he said. ‘I got to live my dream of playing AFL and I want to give back to the Aboriginal community. ‘I want to help people get the skill set needed for work, because employment is crucial in fostering a community. 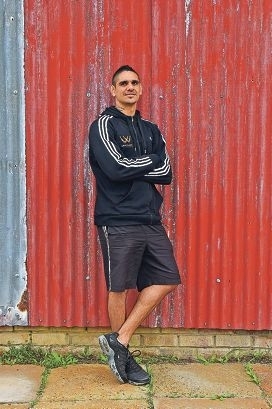 Despite his AFL career being ravaged by injury, Oakley-Nicholls said he was nevertheless proud to have been snared by the Tigers with pick eight in the 2005 Draft. ‘To be rated in the top-10 juniors in the country is something I will always cherish,’ he said. Oakley-Nicholls continues to pursue his football passion, as an important plank in East Perth’s WAFL premiership tilt. The utility player hoped East Perth could go ‘one step better’ than last season and win the flag. ‘We have a strong team and have played well all season, so we are confident,’ he said.